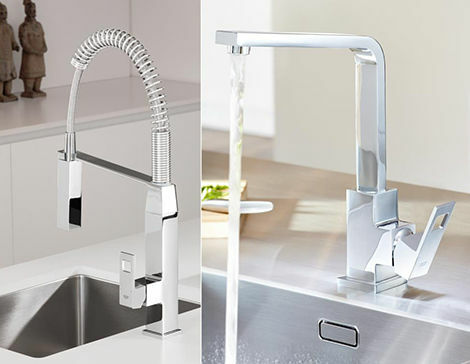 Make a statement with GROHE’s Cubist masterpiece. 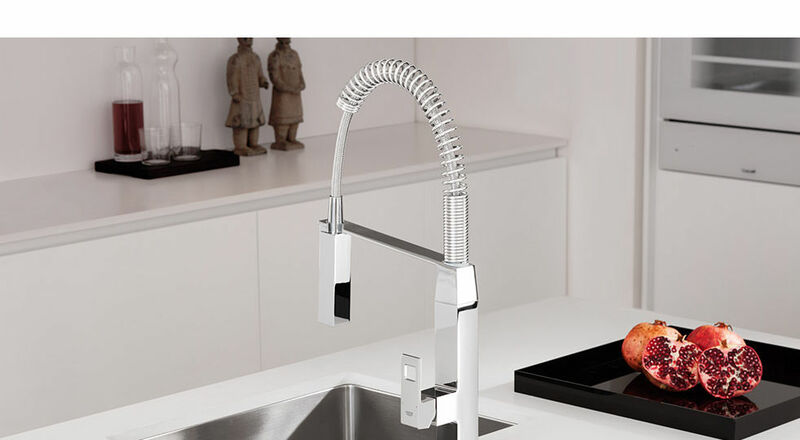 The Eurocube’s strong lines and solid, architectural shape is perfect for modern kitchens where design is at the forefront. 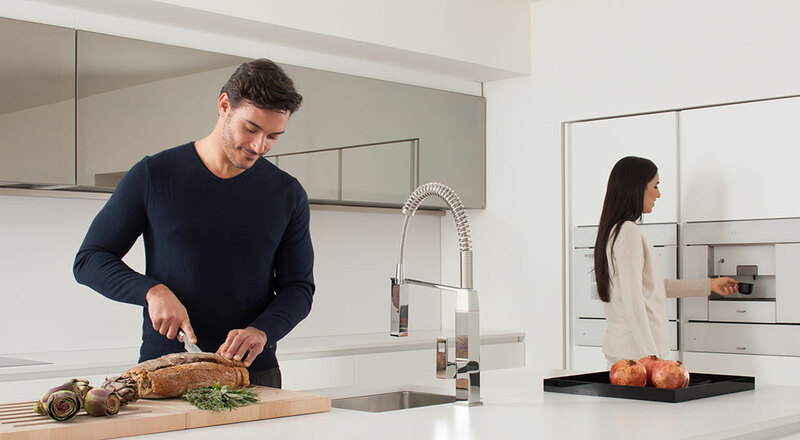 From the lever’s cut-out detailing to the new professional-grade features, this is a faucet for those who are both style conscious and serious about their cooking. Eurocube is available in two versions. 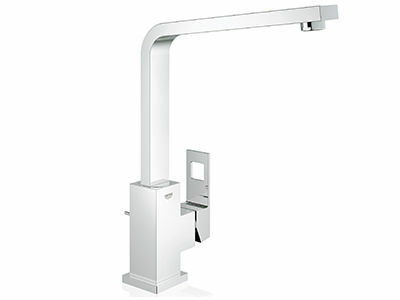 Choose between a swivel spout model and the new semi-professional mixer with pull-out dual spray. Mounted on a spring hose with 360˚ movement, the head switches easily between two spray options, giving ultimate flexibility and great high-spec performance. 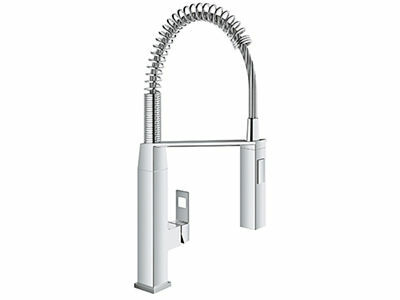 The collection is available in GROHE StarLight® chrome and in highly resistant SuperSteel finish.